The update will be available on all eligible devices over-the-air in the Settings app. To access the update, go to Settings –> General –> Software Update. iOS 12 users should be able to download iOS 12.0.1 when it is released at 10:00 a.m. Pacific Time. Today’s update fixes several high profile bugs that have been plaguing iOS 12 users. It resolves an issue that could cause some iPhone XS devices not to charge when connected to a Lightning cable, an issue that was discovered shortly after iOS 12 was released. Reports suggested multiple iOS 12 devices were affected rather than just the iPhone XS, and it’s likely that if other devices are impacted, the new update solves the problem. iOS 12.0.1 also fixes a major Wi-Fi bug that could cause some iPhone XS devices to prefer to join a 2.4GHz Wi-Fi network rather than a 5GHz Wi-Fi network, resulting in perceived slower Wi-Fi connection speeds. After this update, many users who were stuck with their phones connecting to a 2.4GHz network should see much faster Wi-Fi connection speeds as the devices once again prefer a 5GHz network. Other bug fixes in this update include a reorientation of the “123” number key on the iPad, which was moved in the iOS 12 update and swapped with the emoji/language key, a fix for a problem that could cause subtitles not to appear in some video apps, and an issue where Bluetooth could become unavailable. Many of these bugs have also been addressed in the upcoming iOS 12.1 update that is currently being beta tested by developers and public beta testers. 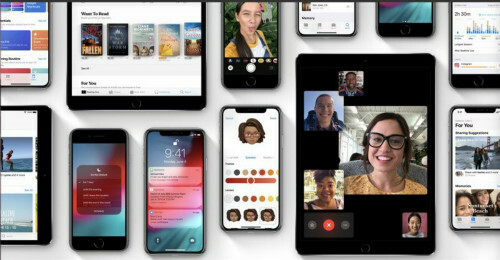 The new iOS 12 update introduces a slew of new features like Siri Shortcuts for creating voice-controlled automations, Screen Time for monitoring your iOS device usage, Memoji on devices with a TrueDepth camera, improvements to Do Not Disturb and notifications, ARKit 2.0, privacy enhancements, and more. This entry was posted in Tips and Tricks and tagged apple releasing ios 12.0.1 with fix for wi-fi 2.4ghz bug and lightning charging issue by IosdroneD. Bookmark the permalink.